Photo of the MONTH ! 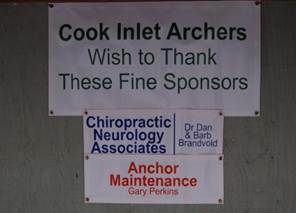 · Huge thanks to Mike Harrington for his work on the Cook Inlet Archers website. It has been out of date for a few years! Please go to the site if you have not seen it lately. www.cookinletarchers.com Mike did a wonderful job. Please contact him if you have information to share on the wonderful world wide web. 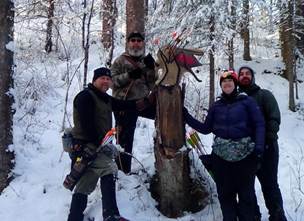 · Our International Bowhunters Organization memberships are due for renewal. Please contact Vikki dvgalaska@mtaonline.net once you have gone online to either renew or join the IBO. We rely on our members to join so we can have liability insurance at a group rate. Thanks to those who have joined in the past and this year too. See our website for IBO link. · The December shoot this year was and has been a low turnout in the past several years. Only 11 members came and enjoyed a round of shooting for free. The board and members present decided to have every December as a FREE SHOOT. Mike Quinn will still be making his famous Tur-Duck-En. We look forward to offering something free for families to do over the winter break. 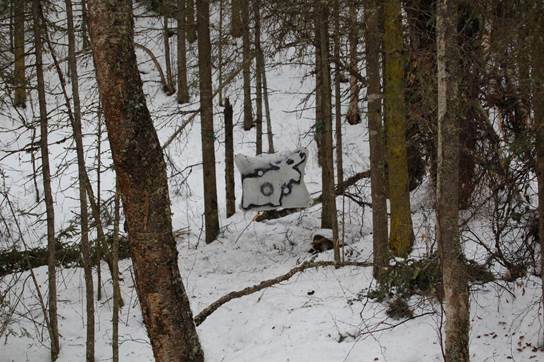 · We have been requested to offer an Eagle Scout a project on the range. If you have ideas please let Barb tazoid@aol.com know. Chris Tomsen eagleriver1@gmail.com is the contact for Eagle Scouts. 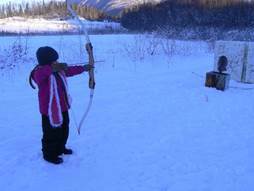 · Do you have a lot of bow equipment around you would like to swap? CIA will be hosting a swap meet at the May 18th shoot. Start looking at your gear. Anything you think is safe yet not being used by you or your family anymore can be collected and swapped for something new to you! More information to come. Until next month, stay safe and enjoy yourself.